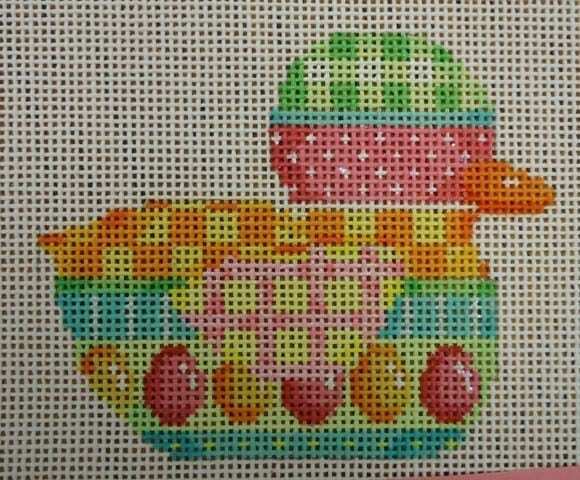 This duck is decked out for spring with plaids, dots, squares and eggs. 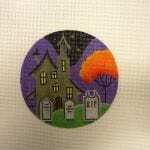 Lots of bright spring colors make this fun to stitch. 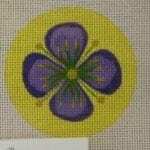 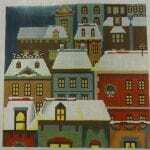 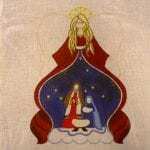 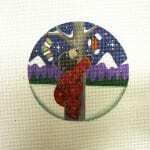 Painted on 18 ct. canvas, this measures about 3-1/4″ x 2-3/4″. 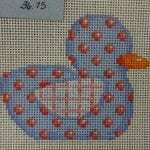 Ask me to send threads and beads to make this little guy even more adorable.